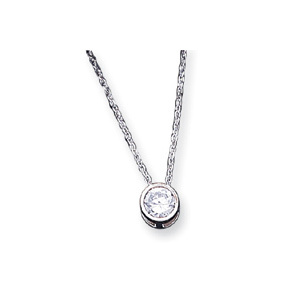 Sterling Silver CZ Pendant on 16 inch Chain Necklace. 16 inch. Weight: 2.5 grams. Springlock clasp. Pendant measures 1/4 inch round.